The exhibition will celebrate the 30th anniversary of the clubâ€™s victory over AZ 67 Alkmaar in the UEFA Cup. The exhibition covers the clubâ€™s first foray into European Football in September 1962. 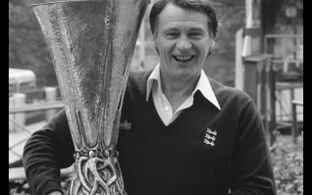 It also covers the period in the 1970s and early 80s when Ipswich Town played in Europe for nine out of ten seasons with Town lifting the UEFA Cup trophy in Holland on 20 May, 1981. Successes in 2001 and 2002 are also celebrated.